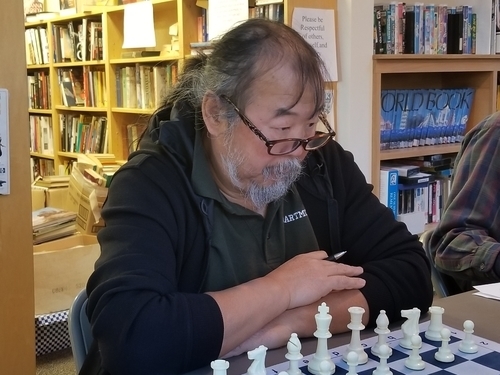 ChessMaine: Maine vs Russia Scholastic Chess Match Livestreamed This Friday, February 8th at 6:00 p.m.
02.05.19 Ten scholastic chess players from Maine will face off in a two-game match with ten scholastic players from the Primorsky region of eastern Russia on Friday, February 8th at 6:00 p.m. eastern U.S. time. The Maine vs Russia Match will be broadcast live on the Internet with expert commentary from Maine State Chess Champion Matthew Fishbein. Here are the Match details and a link to the live online broadcast. Primorsky Krai is located in extreme southeastern Russia. It is bordered on the west by China, on the south by North Korea, and on the east by the Sea of Japan. Dr. Pavel Sulyandziga, a native of Primorsky Krai, Russia, an outspoken advocate for the human rights of indigenous people, and a visiting professor at Dartmouth College, has been instrumental in organizing this Match. We express our sincere gratitude to Dr. Sulyandizga for facilitating this important cultural exchange between the children of Maine and the children of Russia through our common bond of chess. The Team Primorsky Krai roster is in the works. We will bring it to you as soon as it is finalized. The Match will consist of ten players per team--two girls and eight boys. Maine players are required to have ratings under US Chess 1600. Russian players are required to have ratings under FIDE 1500. Each player will play two games, one with each color vs the player with the corresponding board number on the other team. The time control will be Game in 15 minutes with a five-second increment beginning at move one. The Match will be played on the lichess server (lichess.org). At the conclusion of the Match, each player will receive a commemorative certificate signed by officials of the Chess Federation of Primorsky Krai, Russia and the Maine Chess Association. We wish both teams good chess! nothing like this was possible 50 years ago when I started playing.was this a first in America ? I know that fischer played via teletype in a Cuban tournament in 1965 but that was somewhat different than this event.etc.thank you all for making this happen.